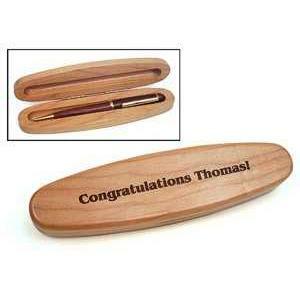 The Oval Pen Boxes are available in Rosewood or Maple and with their gently curved look - are elegant in appearance. 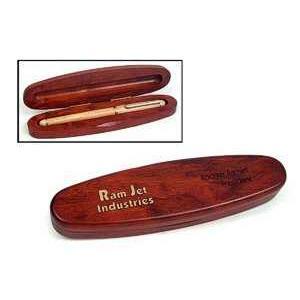 Wonderful as executive gifts, these pen boxes have a large area for engraving company logos and text. 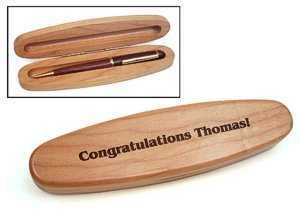 The Maple engraves a rich brown tone for excellent contrast. 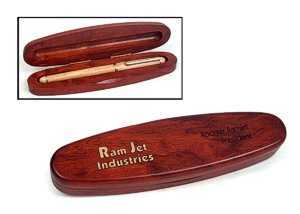 6-3/4" x 1-1/3" x 7/8"